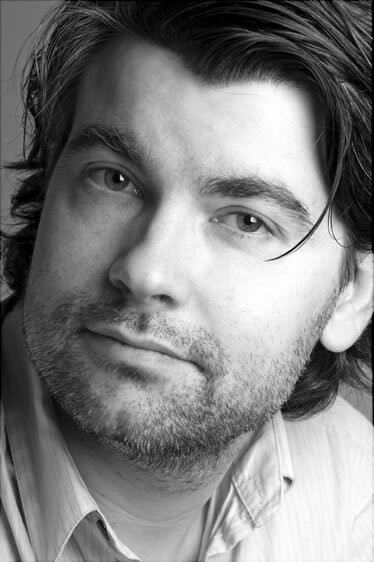 Guest Editor Sebastian Berweck discusses the multitude of differences between playing with or without electronics, shedding some light on the difficulties a pianist may encounter, what the pianist requires and some ideas that can help ease the life of the pianist, when working on works for piano with electronics. The author discusses different approaches to the use of electronics and video she has experienced in intensive collaboration with various composers, and describes the creative and collaborative process of the coming into being of Annesley Black’s 4238 de Bullion. 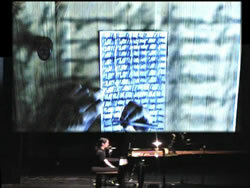 On plectros III, performed in near darkness, playing on the strings, wooden or metal parts of the piano and using special performance practices. The live electronics include contact microphones, delays and modulations. plectros III is actually a “theatre piece” but… there is almost nothing to see. With the new challenges and possibilities of the digital age, the question of methods of archiving and preservation as well as the presentation of media art consistently arise. 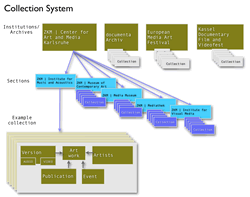 This paper attempts to indicate strategies of archiving media art including electroacoustic music based on the ZKM’s project <mediaartbase.de>. 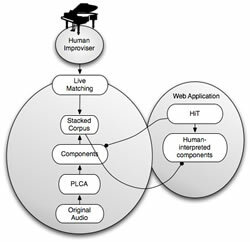 A description of the author’s compositional approaches to the pieces Zellen-Linien (2007), for piano and electronics using Max/MSP, and Irrgärten (2010), for two pianos and electronics using the iPhone. A retrospective of the author’s reflexive algorithms for piano and electroacoustic work, with a discussion of algorithm design strategies using timbral matching and genetic co-evolution, the decomposition of acoustic spectra and future directions. Due to the fact that they are an outdated music storage device, cassette recorders can now be used for purposes other than those for which they were originally intended: as traditional instruments to reproduce music. A description of the author’s microtonal composition in a hybrid quasi Just Intonation, based on just 5/4 and 7/4, including the harp-100 cents tuning mechanism, and a non-octaving scale on Yamaha’s freely tunable synthesizer DX7‑II FD. For future music new or modified instruments are necessary. 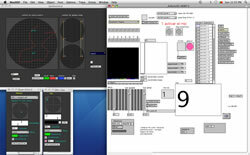 Extending the functionality of an instrument keeps it intact but at the same time enables it to act like a small ensemble or even as a controller of audiovisual art. In responding to a few questions raised by this issue’s Guest Editor, Sebastian Berweck, the author makes the case for a “touring piano”. This article describes and discusses different characteristics and problems involving the use of sensors while preparing the author’s work Deformacios n.2, for piano, sensors and real-time electronics. Mutations (megamix) is an interactive work, which explores notions of the DJ set, mashup and remix through the integration of various “streams” of piano-based material in live performance. 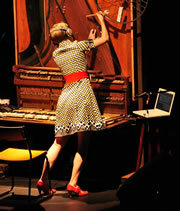 In Vitro Oink is a composition exploring the translation of two piano sounds into a work for piano and electronics. This overview traces the compositional process and illustrates the use of Wii-remote in both the creation and performance of the work. The author describes the evolution of a series of pieces for classically trained pianist, piano sounds, a weighted keys piano controller, several pedals and a computer running a custom SuperCollider program and open source software. The festival Piano+ — Music for Piano and Electronics at the ZKM in Karlsruhe (Germany), offers composers and performers special opportunities. 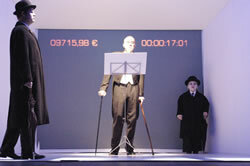 Aspects of performances and questions looking into the future are considered. 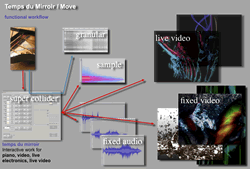 Some notes about the combination of music and video and about the æsthetic background of the author’s audiovisual works, especially those for piano and electronics or fixed media. Between 2009 and 2011 this issue’s Guest Editor, Sebastian Berweck, interviewed a number of composers, performers, sound engineers, organizers and publishers involved in the production of compositions with live electronics. The interviewees, living and working in Germany, Great Britain, Canada and the USA, discuss their own interests and the implications of using such technologies, solutions to problems encountered and the effects on their work that technological changes in recent years have made. 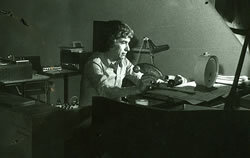 The audio transcripts of a selection of these interviews are featured in this issue. 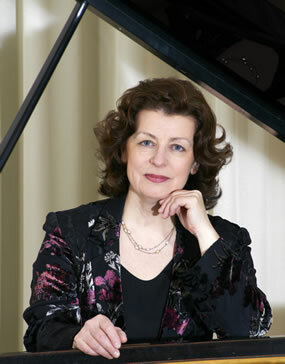 Pianist Xenia Pestova started cataloguing repertoire during her doctoral research in 2007. Several years later, the initial list grew into a comprehensive resource that is presented in this issue. 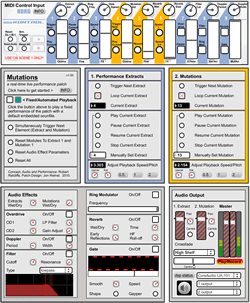 Bibliography — An annotated list of articles and publications on or related to keyboard and electroacoustics (tape, live electronics, synthesizers, and more). Toy Piano + EA Repertoire List — Works and resources for toy piano in conjunction with electronics of various sorts.